Atwood Magazine is excited to announce a partnership with LiveSyphon to showcase live music from across the country! 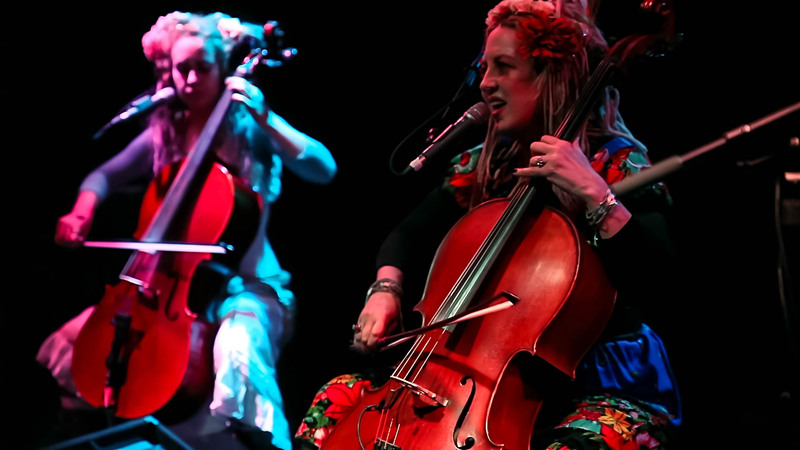 The latest in our LiveSyphon series features alternative/historical cello ensemble Rasputina. Fame works against the human soul. A fame-oriented culture is an ill culture. Let us never forget that music is, first and foremost, an art form. No matter what pop culture leads us to believe, songwriting and performance originated as expressions of the self – attempts to capture experience. 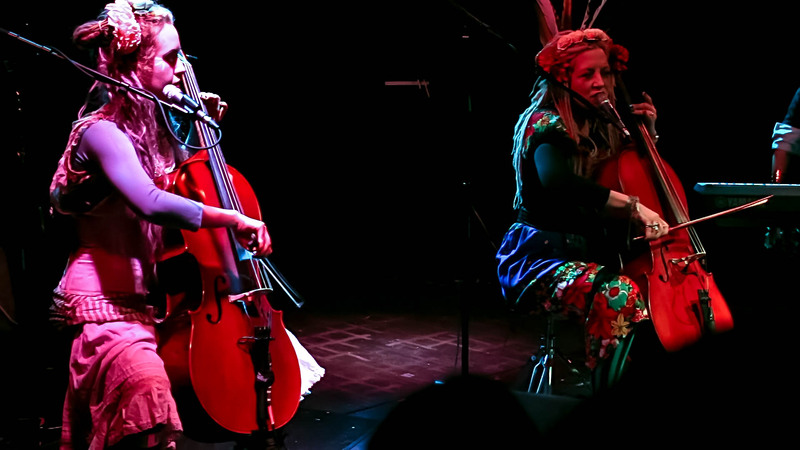 Few people embody that truth better than Hudson Valley’s Melora Creager, who has led self-described “alterantive/historical cello ensemble” Rasputina for the past twenty years. 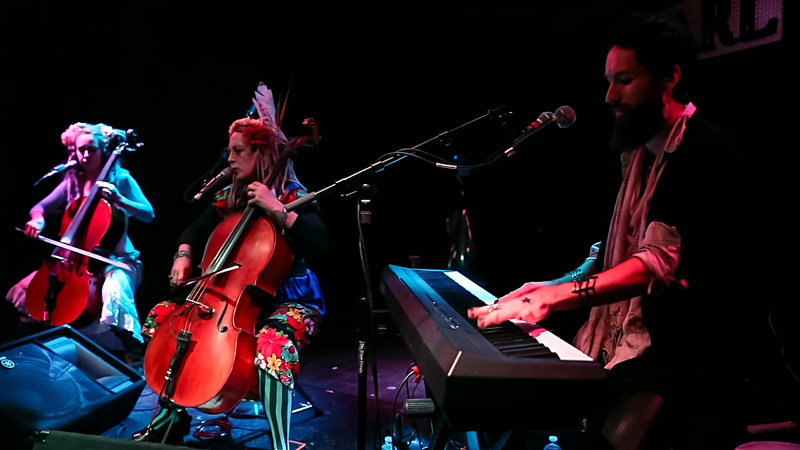 Currently composed of Creager, Luis Mojica, and Polly Panic, Rasputina’s gothic cello rock performance is original and unique. Creager’s original intention, per the band’s biography, was to “create an electric cello choir – no boys or guitars allowed.” Over two decades, the musical entity has developed and changed, adopting intricate costumes to make up for the stationary nature of cello performance. Musically, the band continues to stay true to its roots: Melora Creager has been dubbed a “steampunk goddess,” and despite their lack of widespread “acclaim” (which Creager appears quite content with), Rasputina are continuously pushing the boundaries of music. In partnership with LiveSyphon, Atwood Magazine is proud to present Rasputina’s live performance of their song “Holocaust of Giants” from THE EARL in Atlanta, Georgia last October. Taken from Rasputina’s 2010 album Sister Kinderhook, “Holocaust of Giants” spotlights Creager’s magnificent vocal talent. Her voice shines clear and crisp as it cuts through the cello’s low end; meanwhile, Creager and Polly Panic’s cellos provide a dark bed of emotion atop which Creager’s storytelling lyrics work their magic. The band’s seventh and most recent album, 2015’s Unknown, is available exclusively on CD (“Why? For personal, political and psychological reasons“) and can be purchased via Creager’s website. Rasputina might forever be an “undiscovered,” hidden gem in the music world, and that’s alright. “Achievement is not on my radar,” explains Creager. The bandleading cellist, who toured as cellist with Nirvana on their final 1994 European tour, takes a page out of Cobain’s notebook in her rejection fame – yet it is entirely for her own reasons. She believes in Rasputina’s authenticity – the ability to craft wondrous music without outside influence of any kind. 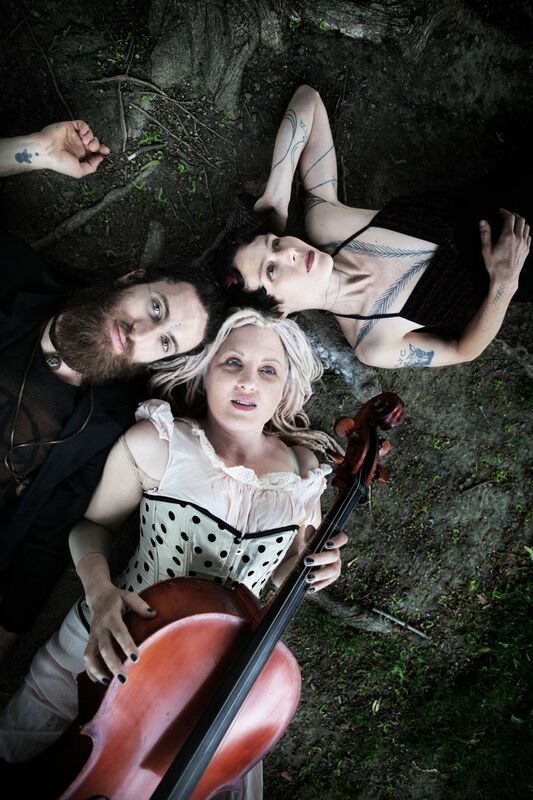 “Famous” or not, Rasputina’s music deserves to be enjoyed the world over. LiveSyphon’s recording of “Holocaust of Giants” provides an exclusive look into the band’s visual and musical aesthetic, giving us a sense of the grandeur and power embedded deep within the live Rasputina experience. Dive deeper into Rasputina through our conversation with Melora Creager below, and catch Rasputina on tour this fall! Atwood Magazine: Can you describe the band's creative process and how different members, inspirations and ideas come together? Melora Creager: I started Rasputina as a young woman in the early 90s. I wrote a manifesto, because I’m from art school, and that’s how the Surrealists did it- that’s how you start a movement. Members? Because there are so few of us in existence, I’ve been on a never-ending search for rocking female cellist singers. Sometimes a man will show up, or a different instrument, but as long as it’s not a guitar, that can be the right person. Inspiration? All artists agree that it’s a gift that can’t be forced. I tend to be inspired by historical situations and their emotional states that I want to work out. Why do people do what they do? I want to know. You use a very interesting combination of old and new-fashioned instruments, from the cello to the electric keyboard. What do you think you achieve by having such an old-meets-new approach to your music? Melora: Achievement is not on my radar. I think all the music Rasputina makes, recorded and live, is always organic regardless of the instrumentation (and the computers used to produce it), because it always has heart and is built around real musical skill and presence. Instrumentally cellos are very prevalent in your music. Can you tell me about the sound Rasputina is going for and what flavor the cello brings? Melora: The cello is SO emotional. And flexible, versatile. It’s what I know like my own body. Melora: I’ve never been much influenced by other music, except for Michael Nyman, who I’m forever using as a model. And a single cadence by John Cale’s viola in the Velvet Underground song ‘The Black Angel’s Death Song’ inspires me forever. As a classical musician, I went through a phase of “learning how to rock” by studying Black Sabbath (see album How We Quit the Forest, 1998). I’m mostly inspired by history, architecture and weather. “Holocaust of Giants” is a pretty interesting and provocative title. What are you trying to convey with such a title? Melora: As many titles are, it’s a simple summing-up of the contents therein. Giants were slaughtered. Many of Rasputina's track titles (Transylvanian Concubine, 1816, The Year Without a Summer, Gingerbread Coffin, Holocaust of Giants) are unconventional and evoke an historical vibe. Where do these titles and their stories come from? Melora: Their origins are as varied as the songs themselves. Old songs usually started with a book I read. Later songs sometimes started from a random Wikipedia entry. They’re ideas and concepts I get gripped by, then I write a song about them, often including random events and quotes from my own life that relate to the concept. You have a really cool variety of costumes. What was the inspiration/choices behind some of these outfits? Melora: Strong women throughout history and cultures, magical people… A lot of what Rasputina does is actually original, which can be hard for people nowadays to understand. How would you describe Rasputina's aesthetic and how it ties in with your sound? Melora: Contrast of old/new/familiar/unrecognizable. Something to emulate, something to get pleasure from. Outside of music, do you have any other interests that have come back inside and influenced your musical content and sound? Melora: I have training in therapeutic music (for sick and dying people). Those skills and experiences improve my playing and my person. Your latest release, Unknown, is exclusively released on CD right now. What can you tell us about the music on that? Melora: Unknown was made in a state of clinical psychosis. I had a serious mental breakdown, and my life fell apart, but I’ve got that album as a literal record of the experience – the pain, the fear, and the delusions. What have Rasputina been up to recently? Melora: In addition to me personally healing from psychosis, we’ve made a live DVD, are completing a 20th anniversary re-do of the first album Thanks for the Ether, I’m writing a score for a restored silent film for the Library of Congress, and Luis released an album and maintains his practice as a holistic therapist. Can you talk more about what “Steampunk” means to you? Melora: I love to play Steampunk conventions and I’m glad for people to have an opportunity to dress in costume- it’s so fun. I love Miyazaki’s movies, high button boots and parasols. That is all I will say. You said in one interview that “fame is not healthy for a nice person.” Can you elaborate on that? Melora: It’s not. Fame works against the human soul. A fame-oriented culture is an ill culture.